Our primary goal in modern dentistry is to prevent tooth loss. Unfortunately, neglect, gum disease, decay, trauma and illness can lead to premature tooth loss. Missing teeth can lead to unfavourable tooth movement, poor aesthetics, reduced chewing function, collapse of the bite and many other dental problems. We aim our treatments at preventing tooth loss, and replacing missing teeth to restore appearance and function. Depending on the number of missing teeth, the condition of the remaining teeth, motivation and desire, teeth may be replaced by implant-supported crowns / bridges, conventional fixed bridges, or removable partial dentures. We will advise you which options will work best for you! A dental implant can take the place of the absent tooth. After a period of healing a crown is designed that attaches to the implant. The end result is a restoration that is as close as possible to having your own tooth back. Dental bridges offer a fixed permanent means of filling in gaps or replacing missing teeth. Bridges allow the dentist to design a natural smile using replacements when there are one or more teeth missing. There are many different bridge designs. We can advise you what will work for you. If you are missing multiple teeth, dental implants can be used to support bridges. A custom made, well designed denture should look natural. It should be stable, comfortable and secure. We can carefully plan and construct aesthetic, comfortable dentures. There is no need for anyone to suffer with uncomfortable dentures. 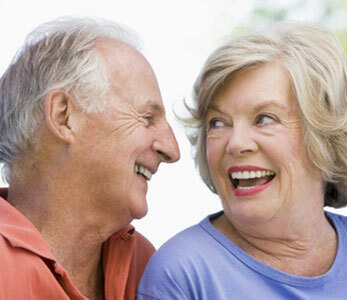 Today we have many options to make dentures more stable, comfortable and to allow you to eat and speak with confidence. Do your dentures look like false teeth? Dentures don’t need to look fake. They can be made to look exactly like real teeth. Natural teeth can be carefully selected to give you a natural smile. The gums on dentures can be formed to look like real gums.